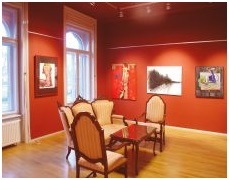 Gallery Makek owns an impressive collection of artwork, consisting of around 300 Croatian and international authors. Information on the conditions of purchase, you can get by visiting the gallery or phone call and e-mail. The world is entirely normal for gallery with a display and sales activities provide rental service of art works. Gallery Makek following such tendencies, or trends offers you to rent artwork from his rich collection. So anyone who does not want to permanently invest in a work of art by purchasing it, he can consider possibility of a loan for furnishing the living or office space. This kind of interior furnishing their own works of art, except that it does not require greater financial investment, allows frequent changing of Exhibition and periodically update the space with new works. This way you can brighten up a certain space when required for special occasions (it can be rent from one day to six months). You will get help for selection of works, professional team of gallery will give useful advice so you can choose the best for you, according to your preferences and needs. Gallery Makek offers creative visual solutions to business, restaurants, and other public and private spaces. So if you want your working or living space ennoble with picture or sculpture you can seek advice from the Gallery, which will allow our professional team to help you choose the artwork according to your preferences or a reflection of your business image. If you want to acquire or expand your knowledge of artistic expression Gallery Makek will help, courses in basic, advanced drawing, painting and modeling. Courses are tailored to each age, and during your stay you are insured with accommodation, food, painting materials and expert instruction. Courses are held in the gallery Makek throughout the year and during the summer months in Gallery Paradiso on the island of Rab, in the town of Rab in the beautiful medieval palace area behind the City Lodge. On the course of arts interested can apply individually or in groups. It allows you to create within this impressive space in the premises of custom area, out in the open, in the immediate and unfettered contact with the magical Rab and sea, in socializing or contemplative work surrounded by the Rab architecture, one of the most beautiful in the Mediterranean, its vegetative richness, especially holm oaks, extreme climate and beautiful sea. 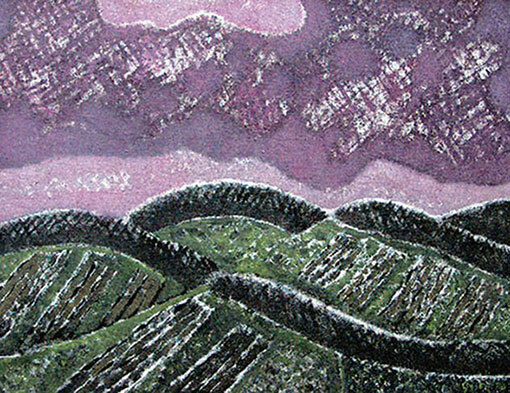 Courses are conducted by professional artists professional art education. Copyright © 2019 Galerija Makek. Website Design by Agencija za promidzbu.